1. Wolves are back in the Premier League after a few years in the Championship and one year in league one. Can you tell us a bit about the way back? TOGAB: It feels like a lot longer than 6 years since we last played in the Premier League. The 2012-2013 season saw us relegated to League One after really struggling to adapt to life back in the Championship- extremely negative tactics from Stale Solbakken and then clueless and inconsistent tactics from Dean Saunders saw the club in ruins. Thankfully, the club got rid of a number of high profile players (Roger Johnson, Jamie O’Hara etc) who were undermining the management and not helping the morale of the squad. Kenny Jackett came in as the manager and had an instant impact- he brought through a lot of young players from the academy and signed some very talented young players from other lower league teams and eventually won League One with a record points tally (103). The following season back in the Championship saw us narrowly miss out on the play-offs with some amazing attacking play from Bakary Sako, Benik Afobe and Nouha Dicko. 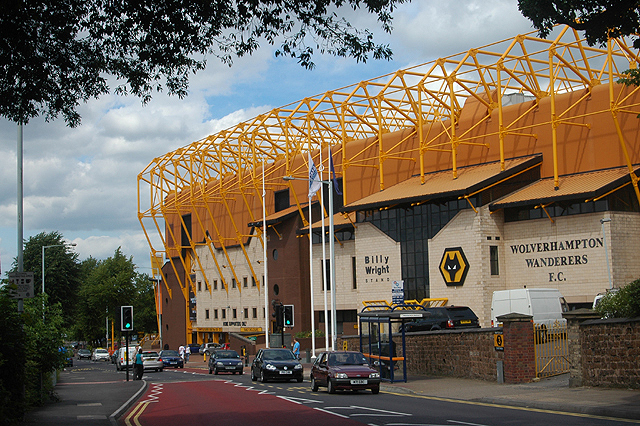 In the summer of 2016, the Fosun group brought Wolves from Steve Morgan, who had put the club up for sale in September 2015. They announced their intention to make Wolves one of the top clubs in England again and made a commitment to spend £30million on new players. Their first season at the club was a little hit and miss- the less said about Walter Zenga the better. However, our run in the FA Cup brought us a lot of joy- away wins at Stoke and Liverpool before being knocked out at home to Chelsea. It all changed though when our current manager came in. Nuno Espirito Santo had managed Valencia and Porto before coming to Wolves in the second tier of English football but he was sold on the ‘project’ and ambition of the club. He revolutionised the team and it was clear to see from quite early on in the season that we would get promoted. The only disappointment from last season would be that we ended on 99 points! So yes, it’s been quite the journey since our last Premier League campaign! DA: Yes, what a journey it has been over the last few years. As a club we have had some big ups and downs. The only positive about the relegations is that we were able to experiences matches and stadiums that we are likely to never visit again so we had plenty of unique moments. But the League One season makes the wait for the Premier League worth it. 2. What are your thoughts on the season so far? Are you satisfied with your teams performances? TOGAB: Overall, yes. I think we’ve shown we are able to compete at this level at last. In previous Premier League seasons it has taken a long time for us to get used to the pace and competitiveness of the division; however, we have played well from the first game. Our downfall has been against the smaller teams; we have raised our game really well against the bigger teams and taken points from almost all the teams in the top 6 so far. We struggle when opposition teams have robust centre midfielders against the diminutive Moutinho and Neves- they restrict their forward passing and they end up giving away possession too easily. DA: I’m extremely happy with our season so far. We all know how quickly the Premier League can change and it’s key to keep consistency and keep picking up points. For us to be in 7th place, just one point behind Manchester United, almost half way through the season is fantastic. I wanted a mid-table finish and so far, so good! 3. How would you describe the way you play? TOGAB: Controlled would be the best word. In the Championship we would have large spells of possession and restricted what other teams could do to us; however, that has had to change in the Premier League- we are now used to playing a lot of the game without the ball but we break very quickly. In our last game, against Bournemouth, we only had 38% possession yet we were able to create more chances than the opposition and ultimately score more goals. The wing-backs are the key to how we play- when Doherty and Johnny play well, the team plays well. We create a lot of chances (only Man City had a higher shots per game than us at one point this season) but we don’t take them- if we could we would be in the top 4 I’m sure! DA: Our play style is very attractive, counter attacking football. As a fan its the best football I’ve ever seen at Molineux. The formation and style is so dynamic because for every opposition the tempo or structure can be tweaked and it helps us massively. For a team to play the same style and get results versus Chelsea, Manchester City and then Burnley is quite something. 4. You have former Liverpool-player Conor Coady in your team, how has he adapted to the Premier League? TOGAB: We signed him as a centre midfielder but Nuno decided he would be more suited to centre-back last season. He has done quite well and there were rumours of an England call-up a little earlier in the season, but with England switching to a four at the back it looks unlikely now. His strengths are is passing, leadership and tackling but he does worry me when we face big, strong attackers- he can be beaten to the ball too easily. He’s been very good but I think the club is moving faster than he is improving so I expect he will be moved on next season. DA: Coady has been fantastic this season. I’ll be honest, I thought he would struggle with the step up to the top flight but he has been outstanding. Conor was given the captaincy under Nuno and moved from a central midfield to central defence and the role suits him brilliantly. 5. Which of your players have impressed you the most so far this season? Any disappointments? TOGAB: Obviously, Joao Moutinho is an amazing player- he seems to touch the ball every 30 seconds but we expected him to be great. The players who have surprised us though have been Ryan Bennett and Matt Doherty. Bennett signed for a free from Norwich last summer has improved so much as a footballer and his goal saving tackle on Willian against Chelsea may have saved our season. Doherty at right wing back has quickly become a must have for anyone with a fantasy football team- he has picked up a couple of goals and a few assists already. The one disappointment for me would be Ruben Neves. He did so well last year in the Championship and we were all expecting him to continue that great form in the Premier League; aside from the first game of the season against Everton, he has struggled to be as effective as he was last season. However, he is such a great player I expect he will improve in the second half of the season. 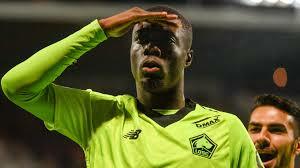 I know he is a player who is highly thought of across European football but he will have to start performing soon if he wants to get that big move. DA: This season there were 3/4 players that I thought would struggle to adapt to the Premier League but I’ve been pleasantly surprised. As I mentioned earlier, Coady has been great but his defensive partners Matt Doherty and Ryan Bennett have been impressive too. I believe a big percentage of Wolves fans expected Ryan Bennett to only have a handful of games this season but he’s keeping new signing Leander Dendoncker out of the team and he’s been fantastic at the back. Doherty has been quality going forward already getting a fair share of goals and assists. His defending can be questionable at times but his work rate and contribution makes up for that. Regarding disappointments, no players have been particularly bad but I suppose Adama Traore has struggled with the step up and can’t get much game time and Leander Dendoncker, who we haven’t seen a lot of, will be hoping for more minutes next year. 6. Both Chelsea and Man City have dropped points against Wolves, why do you think the top teams struggle against your team(part from you being a good side of course)? TOGAB: It’s very funny that we keep picking up points against the top teams. It seems like the top teams don’t press our midfielders too often; therefore, Neves and Moutinho are allowed that more space and time to be creative. Morgan Gibbs-White has played in a ‘false 9’ role in the last couple of home games, which has allowed to link between midfield and attack better- he is one to look out for on Friday. DA: I think Chelsea and Manchester City underestimated us a lot. As you say, we have quality all over the pitch but going forward, we have frightening pace and skill. We showed it against Chelsea how quick we can change a move from defence to attack and we can seriously punish teams with how quick we move the ball. 7. What kind of game do you expect on friday? TOGAB: I was watching the game against Man United on Sunday afternoon, and thought what are United not doing that we need to do; the answer was simple: run! Your midfield was given far too much time and space to be able to create, so I’m hoping we’ll limit you more. Obviously, your attacking players are sensational and will undoubtedly cause us problems on Friday. It’s difficult to find weaknesses with the Liverpool team at the moment- we just have to hope for a mistake or moment of magic. We are in a good run of form and there’s no doubt the atmosphere at Molineux will work in our favour- a point for us will also take us into the top 6 (which would be amazing for a newly promoted team!). I expect you’ll beat us, but you’ll be made to work hard for it! DA: I’m looking forward to playing Liverpool, with the run both sides are on, it could really be a good game of football. Both sides attack well and play attractive football so it’ll be really fun. I’m going to back Wolves to get something and go for a 1-1 draw!